Plot: A chronicle of the childhood, adolescence and burgeoning adulthood of a young, African-American, gay man growing up in a rough neighborhood of Miami. Starring: Mahershala Ali, Shariff Earp, Duan Sanderson, Alex R. Hibbert. 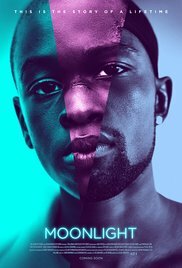 distributed by A24 «Moonlight» in the US movie theaters released on October 21, 2016 and has grossed over $65 million worldwide; dvd and blu-ray release date was set for February 28, 2017. Rent from Netflix and Redbox from February 28, 2017. «Moonlight» in the UK released in movie theaters on February 17, 2017. The movie released on dvd and blu-ray on June 19, 2017.